There are many benefits of using an NICEIC-registered contractor read on for more information. NICEIC has been assessing the technical competence of contractors for over 50 years. Our aim is to protect everyone who uses electricity from unsafe electrical installations in their homes, places of work and leisure. To achieve this, we maintain a register of electrical contractors that we assess as complying with the various standards, codes of practice and Scheme rules. Contractor assessment covers a representative sample of the contractors work, their premises, documentation, equipment, and the competence of their key supervisory staff. Once contractors become registered with NICEIC, they are re-assessed on a regular basis to ensure continued compliance. Enrolment with NICEIC is voluntary, but electrical contractors that are competent and conscientious about the service they offer customers would consider it a priority to enrol. Over 20,000 contractors are registered by NICEIC, covering the whole of the UK, including Northern Ireland. 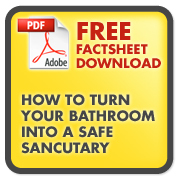 This means that you're sure to have a choice of competent contractors operating in your area. It is believed that approximately 90% of Local Authorities in the UK restrict work to NICEIC Approved Contractors on safety grounds and householders can be assured that all work undertaken by an NICEIC-registered contractor will be safe. Contractors registered by NICEIC are assessed on a regular basis to ensure that they are competent and capable of meeting the relevant technical and safety standards, codes of practice and rules of the Schemes they are registered to. Each Scheme has a defined set of competence criteria that contractors must meet to achieve and maintain registration. The NICEIC Insurance Backed Warranty covers work undertaken by contractors registered to the NICEIC Domestic Installer Scheme that is notifiable to Building Control. The purpose of the Warranty is to protect consumers should any work be found not to comply with the Building Regulations under circumstances where the contractor is no longer in business to undertake the necessary remedial work. The financial limit placed on the remedial work is £25,000 in respect of any one installation per period of insurance and the warranty is valid for a period of six years from the date of completion of the original work. NICEIC operates an independent complaints procedure governing the technical standards of electrical installation of its Approved Contractor and Domestic Installer Schemes. If the electrical work of a registered contractor is found to be below the accepted technical standard, NICEIC requires the contractor to correct the work, at no additional cost to the customer. NICEIC is concerned solely with the safety and technical standard of the electrical work carried out by Approved Contractors, and the standard of certification and periodic inspection reports which Approved Contractors are responsible for producing. NICEIC expects its registered contractors to provide a quality service to their customers and, therefore, endeavour to resolve all complaints about the technical standard of their electrical work. If a customer and an Approved Contractor are unable to resolve an alleged deficiency in the technical standard of electrical work, the customer can make a formal complaint to NICEIC. As described above, the NICEIC Complaints Procedure requires the an NICEIC-registered contractor to resolve the technical deficiency without additional cost to the consumer. However, if the contractor does not undertake the required remedial work, NICEIC’s Guarantee of Standards Scheme ensures it will be done by another NICEIC-registered contractor, at no cost to the customer. 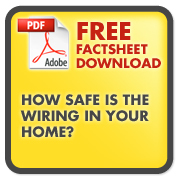 Electrical hazards are invisible but deadly, causing fires and electrical shock. These hazards are easily preventable if you use an NICEIC-registered contractor to install, inspect and maintain electrical installations. Always use an NICEIC-registered contractor to ensure that your electrics are installed and maintained safely and correctly. 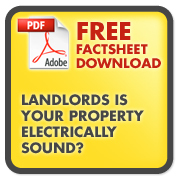 Government figures estimate that there are around 10 fatal and 2,000 non-fatal electric shock accidents in the home each year, and around 19 fatal and 880 non-fatal shock accidents a year in the workplace. 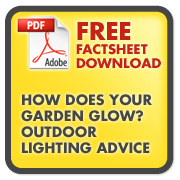 However, there are about 12,500 electrical fires in homes across the UK each year. Although many incidents are caused by faulty appliances rather than the electrical installation itself, a properly installed and well-maintained installation could save lives. Whilst it is relatively easy to make an electrical circuit work – it is far more challenging to make the circuit work safely. 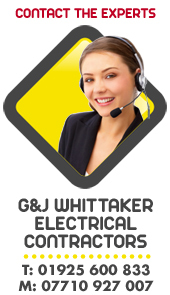 To avoid the dangers that electricity can create to you and others it is essential that electrical work is carried out only by those with the correct knowledge, skill and experience in the type of electrical work to be undertaken. Compliance with the Building Regulations in England and Wales is governed by CLG and in Scotland by SBS - ensure compliance by using an NICEIC-registered contractor to undertake work covered by Building Regulations. Ensure compliance to the Building Regulations – always use an NICEIC-registered contractor to undertake work covered by the Building Regulations. If you are a homeowner or own a rental property, you are responsible for compliance with legally binding Building Regulations. The Building Regulations apply to building work in England and Wales and set standards for the design and construction of buildings to ensure the health and safety of people in or about those buildings. Equivalent Regulations apply in Scotland under the Building (Scotland) Act 2003. The regulations also include requirements to ensure that fuel and power is conserved and facilities are provided for people, including those with disabilities, to access and move around inside buildings. Pat testing or portable appliance testing is an important part of any health & safety policy. This site is intended as a guide to both the legal implications and to the technical requirements. 1. Where appliances are used by employees. 2. Where the public may use appliances in establishments such as hospitals, schools, hotels, shops etc. 3. Where appliances are supplied or hired. 4. Where appliances are repaired or serviced. 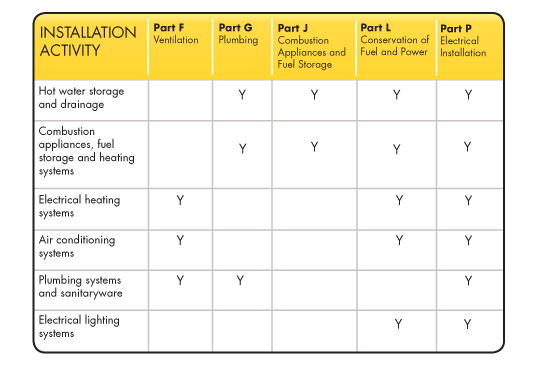 The level of inspection and testing required is dependant upon the risk of the appliance becoming faulty, which is in turn dependant upon the type of appliance, the nature of its use and the environment in which it is used. It is clear that the combination of the HSW Act 1974, the PUWER 1998 and the EAW Regulations 1989 apply to all electrical equipment used in, or associated with, places of work. The scope extends from distribution systems down to the smallest piece of electrical equipment. Please note: the useful site listings below are recommendations only. InvestHZ | Free Link Directory- Submit Your Link Today!